If we don’t take time to slow down, we let the little things pass us by. Lately I have felt we are go go go… Between work, house hunting and weekends being full, I try to remind myself to slow down to remember and appreciate the little things. #1 Is a book I started when Carl and I first started dating to keep track of the restaurants we went to for our birthdays or anniversaries as we always wanted to try a new one. Now it is our Date/Outing book and it goes back to 2009. I am glad I started this and kept it up. #2 I took this photo when we were sitting on the rocks by Lake Superior over our anniversary weekend. Feeling anchored and relying on God to keep me balanced. #3 A clearer picture of my anniversary ring, per my mom. #4 The post office was good to me this week. I got a pleasant surprise of Mindy Kaling’s book. I almost ordered it not realizing that I pre-ordered it a while back! Good thing I didn’t. Then I got my Pioneer Woman bowls that I ordered online from Walmart! I love them! #5/#6 Photos I saw on Instagram that I liked. 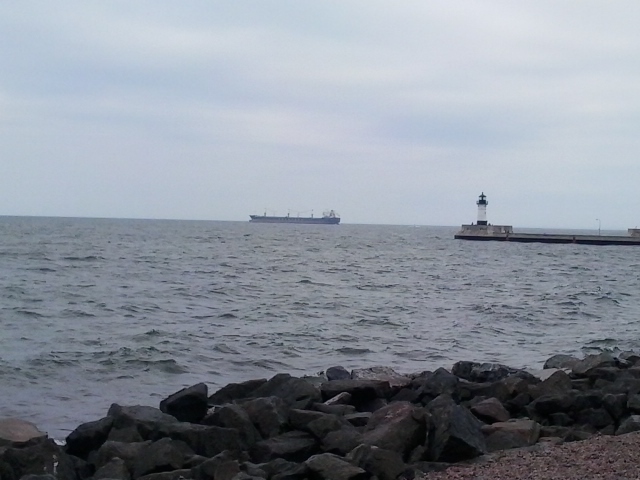 I love the photo of Duluth, it captures it all of it’s greatness. The other photo reminds me of all my close friends. #7 I can’t have a post without Mr. Arie! What a sweet boy, he was taking my side of the bed from the other night. Feeling anchored and putting it in God’s hands! Mindy Kaling’s new book and Pioneer Woman’s bowls! I saw this photo on Instagram and this is why I love Duluth! This year we stuck around home for Memorial weekend. On Friday we grabbed lunch at our favorite burger join The Blue Door Pub and then we went to Guitar Center so Carl could play around-his toy store! Carl at his toy store. This boat was pretty good and according to my sister a good driver. It was cold over the weekend that we had to turn on the fireplace for a bit. We hope you all had a good a Memorial Weekend and remembered what the holiday means and that we are to remember who have and do serve our country for our freedom. Thank you to everyone in the Armed Forces! Oh man, I have been off the blogging grid. We have been busy almost every weekend and to be honest, sitting at the computer and blogging was not appealing at the time. We had three weddings back to back and it was a lot of running; however enjoyable to see family and friends. I don’t think we have ever had that many busy weekends before. 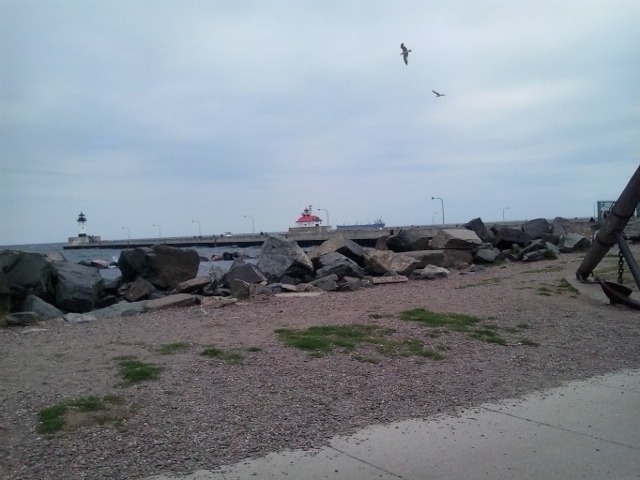 We had a friend’s wedding in Duluth, MN. 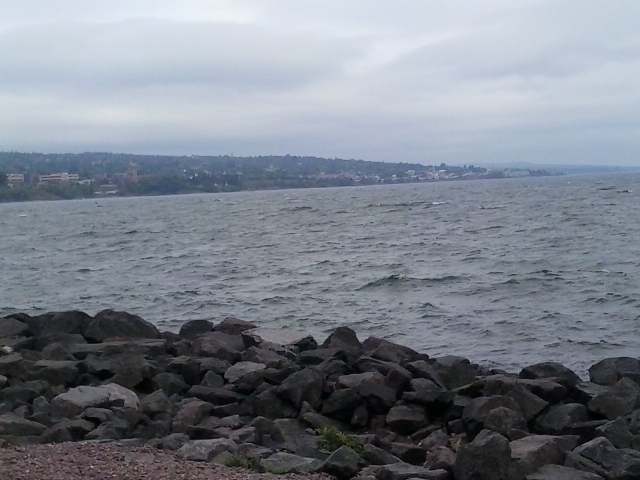 Duluth is one of my favorite places to go ever and it is wonderful that it’s in Northern Minnesota. 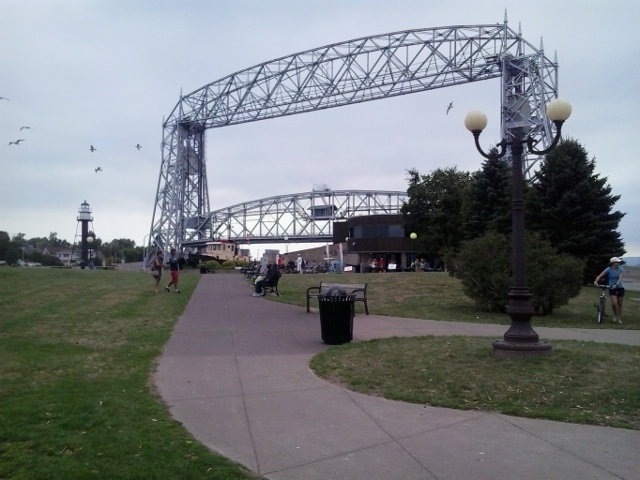 I love the Aerial Lift Bridge, the Canal Park Broad walk and all the other sights of Duluth, I took a few pictures of our time in Duluth. 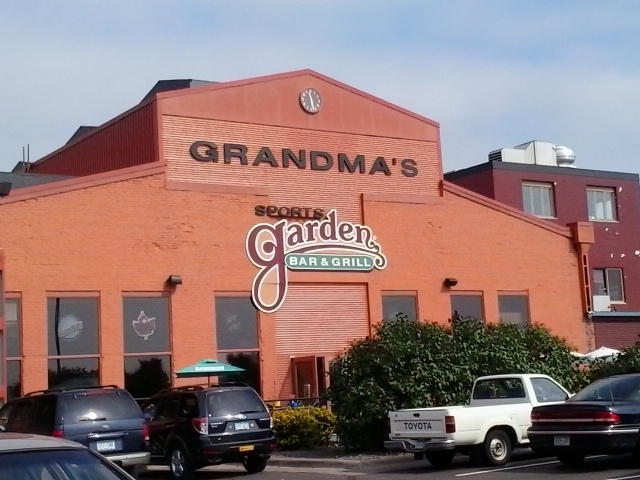 Of course you can’t forget Grandma’s. We had drove to my sister’s house because we were staying at her house to watch her dog. On our way up we stopped at a great restaurant, called The Grumpy Minnow, it was located on some back gravel road but it had a great view of the water and great food with service. That was a fun weekend in Duluth. Arie spent some time at my other sister’s house with her three children. They said he was well behaved and had a great time. We took Friday September 13th off because I had an appointment with the specialist to check on how I am doing. I was really praying and hoping that I would get off the prednisone, as I have been on it since May. I was starting to feel the effects of it, I was getting puffy and gaining weight. Anyway, we went to Wisconsin that weekend for my cousin’s wedding. He and his wife-to-be asked me to be a reader in their wedding, it was an honor. They had a pretty wedding and it was wonderful to see family that weekend. The bad part of the weekend Carl got really sick and was sick for almost a week. Oh, and I didn’t get off the medicine unfortunately. We had found out the next week that one of Carl’s co-workers was getting married on Friday and we were invited to a fancy mansion in Minneapolis. It was at the Van Dusen Mansion, it was very classy. Their ceremony was outside and that was nice minus the weather then they had fancy appetizers and a fun meal that was buffet style. We had quite a few weekends that were packed. Along with that my car’s transmission went out. That was pretty stressful, I had to find a way to get my car back and then I had to get a rental car. But on the bright side we found a vehicle within a week and it was lots of test driving and researching online. We decided on a crossover, with Arie being 60 lbs, we needed a bigger vehicle and overall we needed more cargo room for traveling. 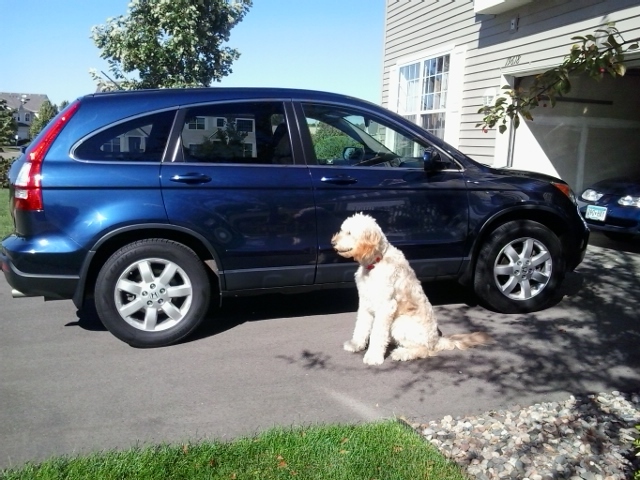 Arie loves his new ride, I named her Mona, not sure why but it seemed to fit. Sorry I had been absent, I will try to get back in the swing of things again. I am reading the Alphabet Series by Sue Grafton and I just finished book “I”, I like the books, she just released “W” so I have to keep going to get caught up. I also started reading another book by Allison Brennan. 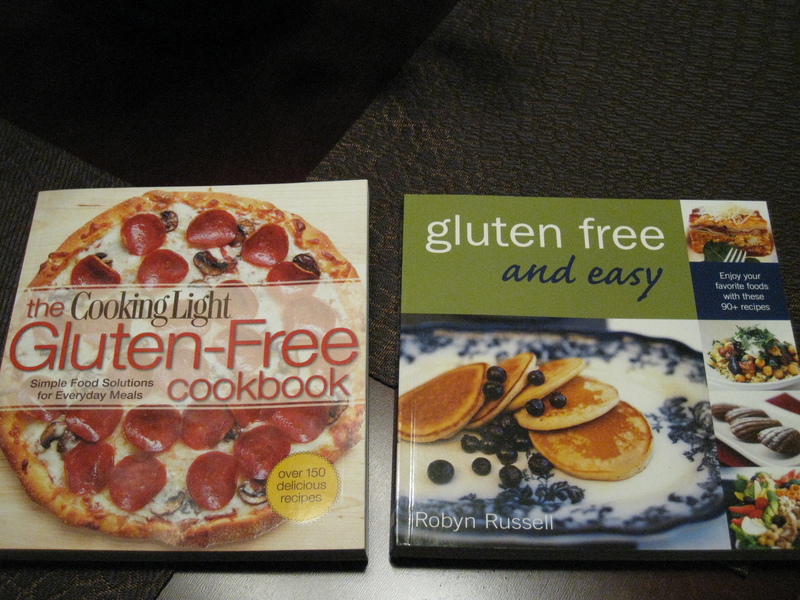 I have been trying a few new recipes and gluten free desserts, I will be sure to blog about them. 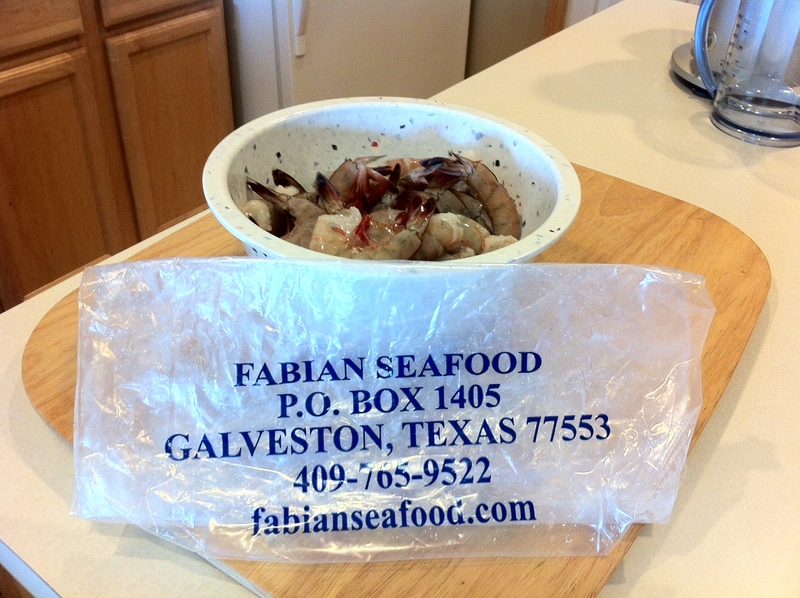 I bought fresh scallops from the Coop tonight and will make them tomorrow night, can’t wait! Anyway, thank you all for following even though I go in sprits with blogging. I promise I will try to be better. At the beginning of June, one of my favorite books from a series was released. Stolen (book #8 of the Lucy Kincaid Series) written by Allison Brennan. I have read all the Lucy Kincaid Series books and love them. I read the three previous books to get the background of her family. Great book, I have liked the authors page on facebook and really enjoy how personable she is on her facebook page. The next book comes out this winter, I hate when I read a book so fast that I have to wait for the next one. Right now, I am back to reading the Alphabet Series by Sue Grafton. I am book E for Evidence, they are quick easy reads. Over the weekend we welcomed another addition to our family. I am an auntie again, my brother and his wife had their second beautiful baby boy on Friday. We got to see the baby on Sunday for a little bit. He is such a little peanut. I want to share a few of the books I have read recently and the delicious wine I have tasted. Yum! 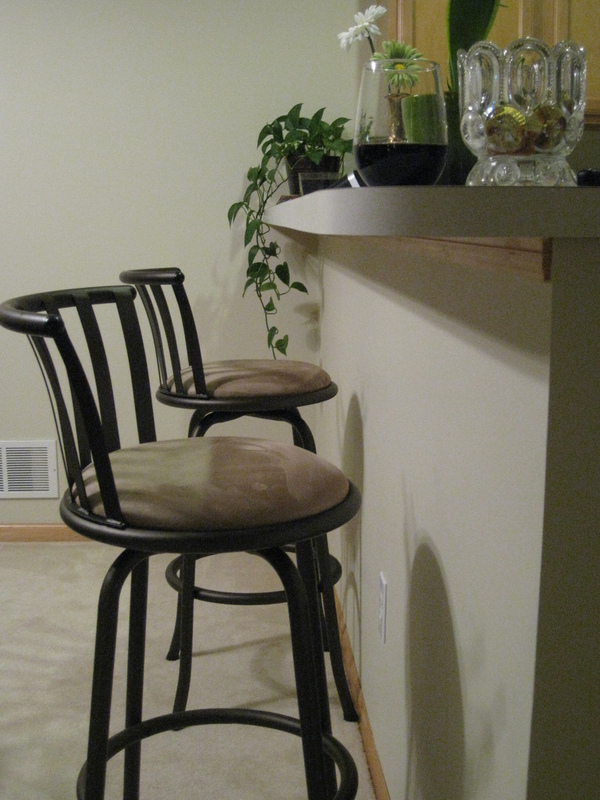 As you know from past posts wine and books is a part of my favorites. 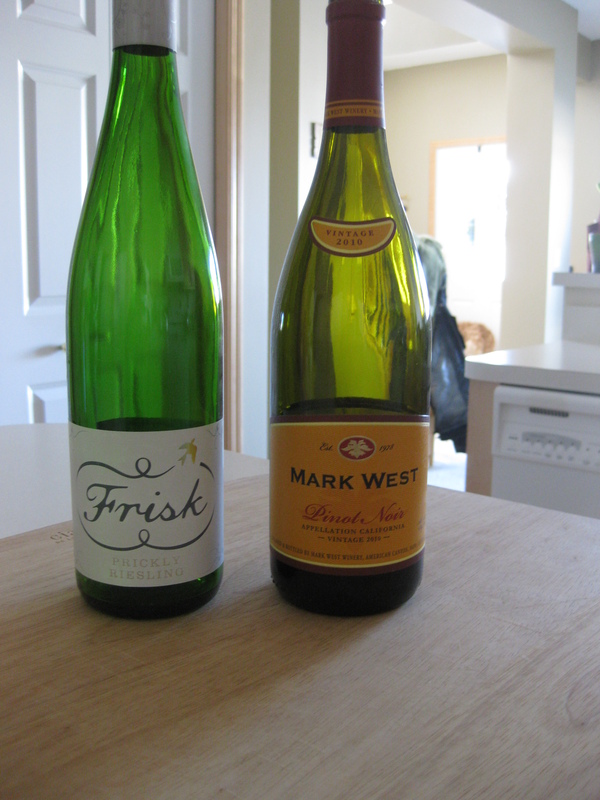 For my birthday this year, Carl got me wine of the month for November and December. He sure does know his audience. 🙂 Plus I have tasted some other wines in bringing them to gatherings. 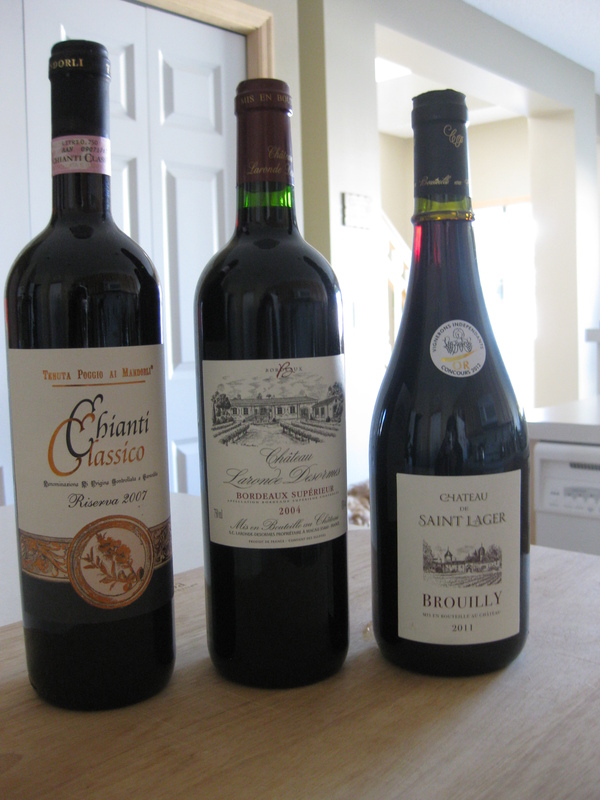 These three red wines I have not opened as of yet, they are the wines from Wine of the Month from Carl. 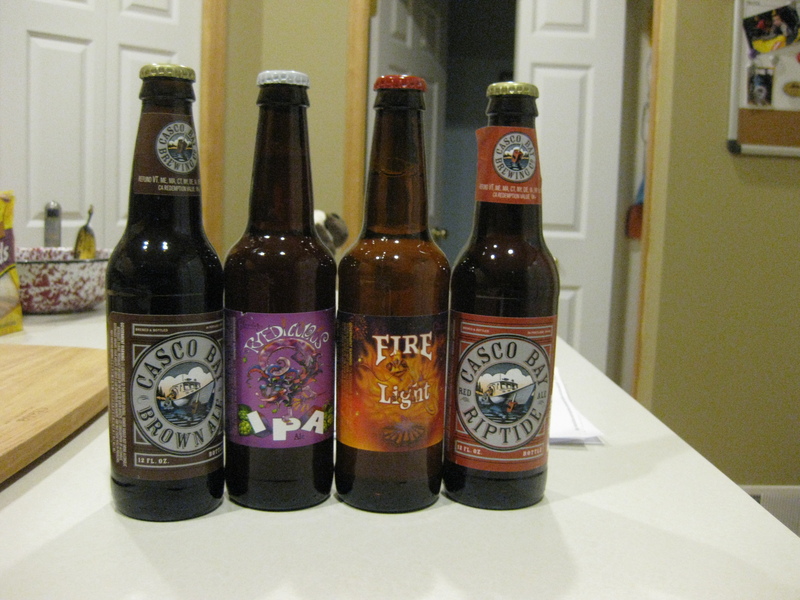 I can’t wait to try them and I will blog a bit more about them. 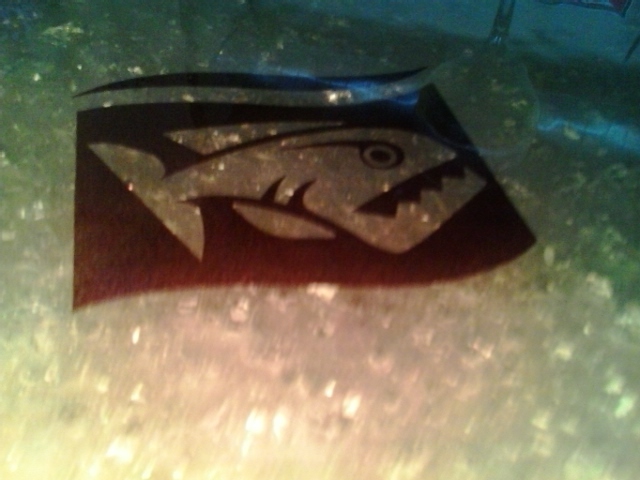 This is one of the Wines from my birthday gift. 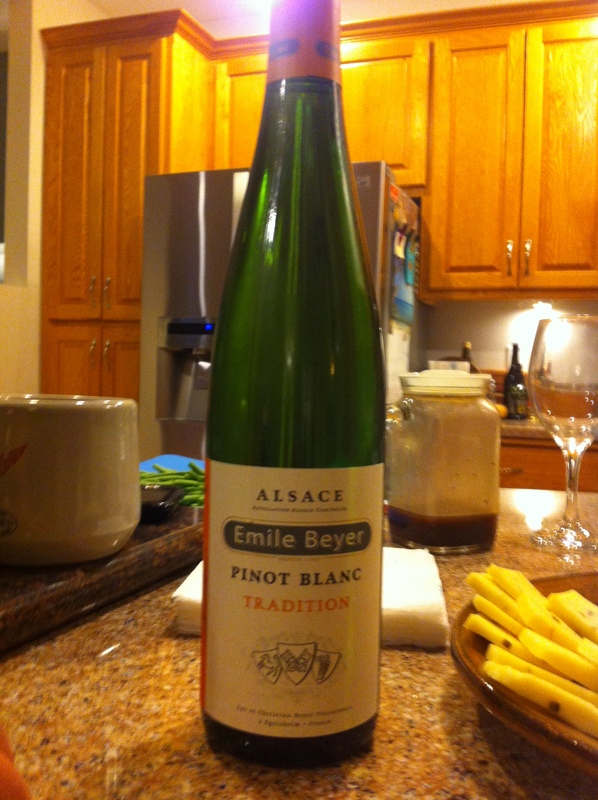 It is a Emile Beyer Pinot Blanc from France. This was very good. So on to the books. When I find a good book I am hooked and it is hard to stop reading. 1. In August, authors P.J. Tracy came out with another Monkeewrench book called “Off the Grid” and I ordered that one from Barnes and Noble because I have all the other physical books. I almost want to read them all over again. 2. In October, author Allison Brennan came out with another book for her Lucy Kincaid Series. I am addicted to this series. Plus I also read the three Evil books that come before the Lucy Kincaid series. 3. I don’t know when but I read the book Defending Jacob by William Landay. I highly recommend this book. I have recommended it to three people who have all read or currently reading it. 4. Last but not least, right now I am reading Grace, Gold, Glory: My Leap of Faith by Gabrielle Douglas. She was that little spit fire of a gymnast at the Olympics. This is such a warm book where she tells her story. It almost feels like you are in the room listening to her tell it. 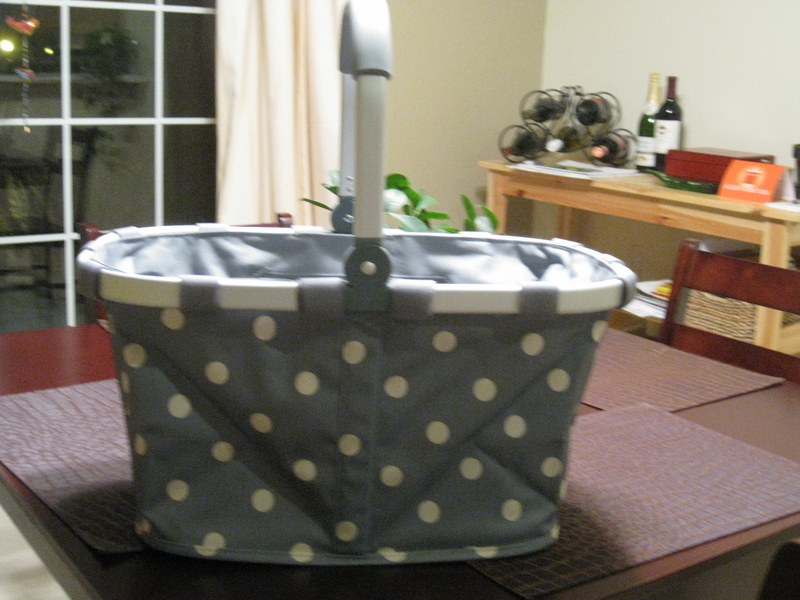 I have some explaining to do on why I haven’t blogged in a while. Two Thursdays ago I was looking for a good book on my iPad to read. I was told to read The Hunger Games- which I am not sure I can get into yet. Lol I was also told to read Fifty Shades of Grey- which I did download a sample. What I did was go through the website to find a book I like or think I would like. Nice thing about the iPad is I can download a sample before reading and if I like the book then I can buy it. Last year I read a book by author Allison Brennan and breezed through the book. If you know me I like reading crime, mystery, serial killer books- not sure why. You would think working in it is a enough, nope I want to read it too. Anyway, I am a creature of habit and went back to the same author and grabbed the samples of a few of her other books. I read the sample of one and ended up finishing the book in less than two days. I then started another book the next night and finished it in a day, only ten chapters but good. I ended up catching myself up on the Lucy Kincaid Series of the author’s books. I read about three books in 1 1/2 weeks. I think I liked the first and third book more than the second. After a fun/late Friday night, I decided to lay low on Saturday. I was up by 7:30ish, Carl couldn’t believe I stayed out or up that late. I am normally in bed by 9pm most of the time. We got up, had our cup of coffee and decided to run a few errands. We had to go to Cub Foods but I had asked if we could take a detour to Barnes and Noble. 🙂 I wanted to check out the puzzles and games. Nerd alert, I know! 🙂 I love being a B&N Member! 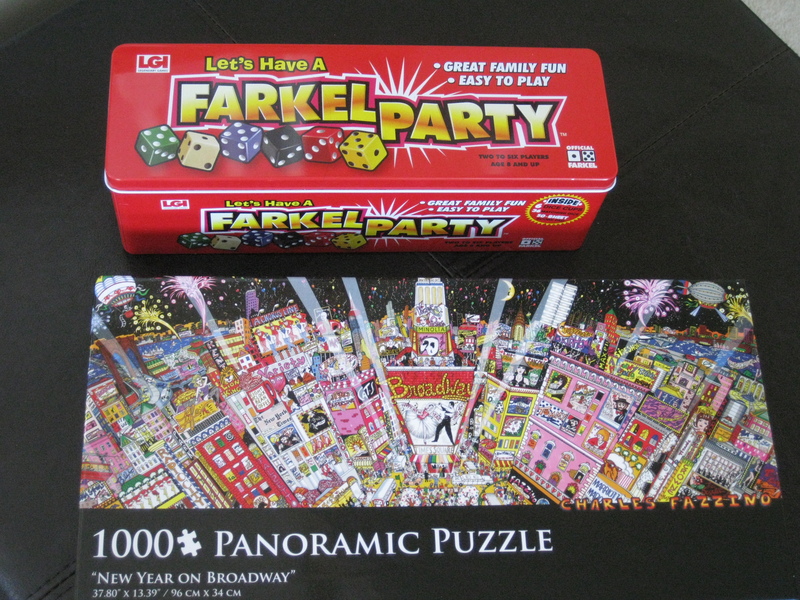 I got the game Farkel (I have been told to play it and that it is a blast) and I found a cool panoramic puzzle of New Year’s on Broadway. We also browsed the books to see if there was anything good. 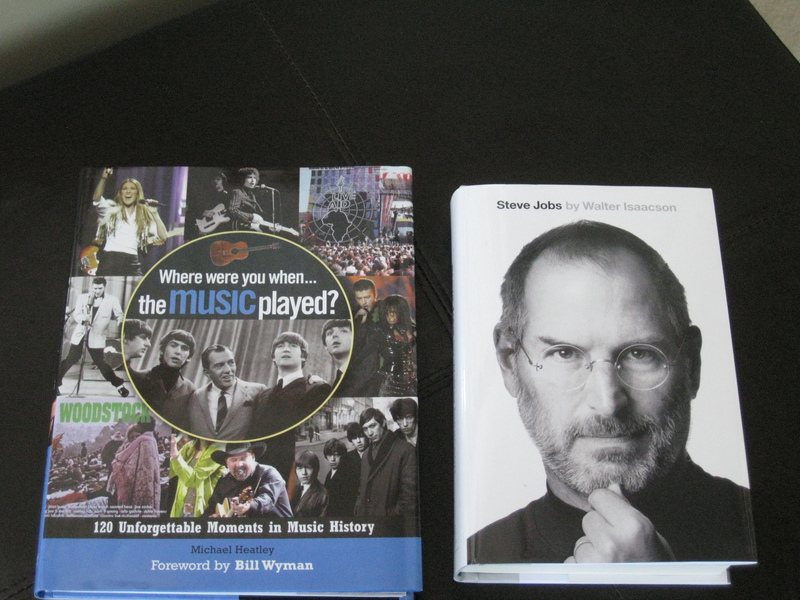 Carl had picked up the Steve Jobs book. For being a web designer that is a must have book on the book shelf. I love looking through the bargain books because they great books for a great price. I found the book Where Were You When the Music Played? for only $7. What a great deal . I was looking through the book and of course stopped on the page titled “I Wanna Dance with Somebody”, anyone would stop at that title song. It was very sad news when my sister texted me and said that Whitney Houston had died. At first, I thought it was a celebrity hoax, but then Carl grabbed his iphone and looked it up. Ever since I was a little girl and had heard the song “I Will Always Love You” I was hooked on her music and voice. I even have the soundtrack to her movie The Preacher’s Wife. What a sad sad day in music history, she was a legend and an icon. It is a shame that the trials she went through were more of a struggle than what she could handle. I was looking forward to her comeback. Anyway, thoughts and prayers go out to her family and friends.